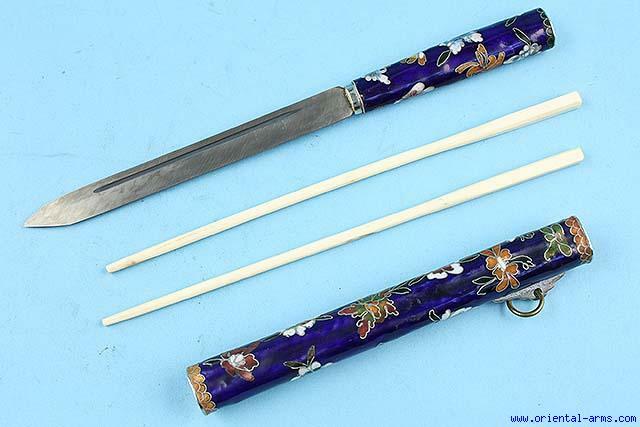 A Chinese �trousse� (eating set), comprising a knife and chopsticks. A late 20C. exemplar but a good representation of the Chinese Cloisonn� enamel art. White, red and green flowers on a dark blue background. Bone chopsticks. White metal mounts. Blade 7 inches, total 11 1/2 inches. Very good condition.